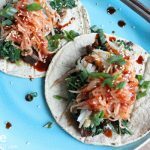 Bibimbap Tacos with Slow Cooked Asian Pulled Pork. And it’s a slow cooker. I feel like I’m cheating . . . on my beloved stand mixer. Will she find out? (yes, it’s a SHE) Has she noticed her shiny, new neighbor on my kitchen counter? There’s just something about appliances that do all the work for you. Who doesn’t want that? And with slow cookers, that’s what they do. I absolutely love it. You pop in some meat, chicken or pork and voilà! about 6-8 hours later, you have a hot meal ready for you. I love that you can get things set-up in the morning (before you leave for work or take the kids to school) and just let the food cook for hours. And if you have a good recipe, your kitchen will smell amazing when you get home. This one-of-a-kind 6-Quart Slow Cooker does it all. It has 24-hour programmability and 4 temperature settings. I love the dual lid opening and the fact that it is so big. In the past, when I’ve wanted to slow cook something for a party or when we had guests coming over, I couldn’t because our crock pot was too small. This bad boy allows me to cook up enough food for a small army. 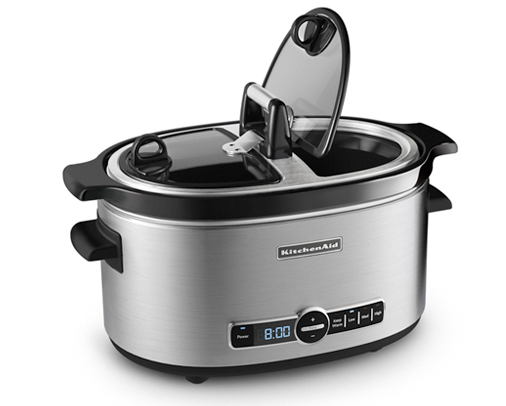 And like most slow cookers, it has a removable 6-quart ceramic insert which makes cooking and cleaning more convenient. This new relationship is serious. I know we haven’t known each other for very long but we’ve already been talking about future recipes. . and I’m hopeful this will lead to introducing my slow cooker to my friends, which will then progress to entertaining together, parties and cooking for holiday get togethers. We were meant for each other. And every great slow cooker needs a great recipe. 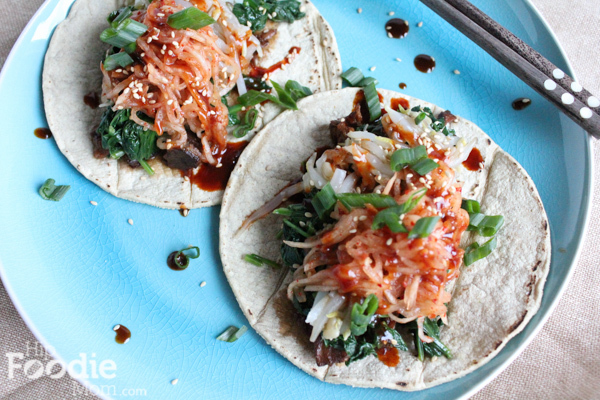 If you like Asian food, pork and Korean tacos, look no further. This is YOUR recipe. 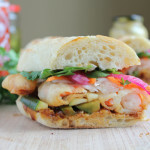 This recipe was inspired by the great Food Truck Revolution going on in America. I love this new curbside cuisine. Not only are Food Trucks providing damn tasty food to people, but they are allowing some people to fulfill their dreams as owners and chefs, who might not otherwise have the opportunity to get their food creations out to people. I’m from Los Angeles and I feel like when the Kogi BBQ Truck hit the streets with their Kogi Tacos, people went crazy. Many people say that Roy Choi “single-handedly kicked off the explosive food truck craze in Los Angeles (and America, for that matter)”. Kogi BBQ also started a mini-Korean food fusion revolution which I love too. 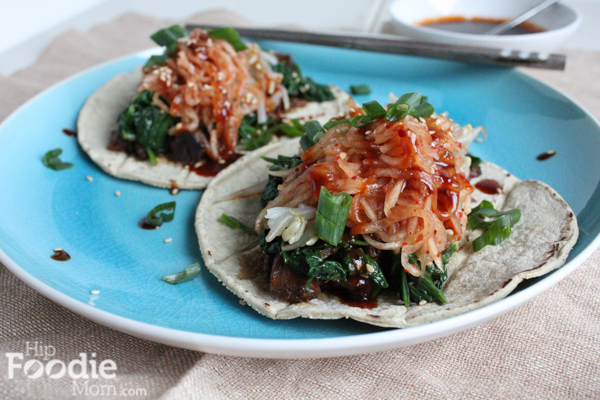 So, I’m bringing you my version of Korean Tacos today: Bibimbap Tacos. If you like Korean food, you’ve certainly had Bibimbap before. This is just putting some of your favorite Bibimbap ingredients into a taco. How wonderful is that? I could have used bulgogi or even ground beef in here but that would have been too easy. I just love slow cooked pulled pork too much. These bibimbap tacos are delicious. The Asian flavored tender and juicy pulled pork, along with the Korean vegetables and topped with a Kogi BBQ sauce created by Roy Choi himself! These seriously rock. This recipe takes some time, obviously, with the slow cooked pork. But remember these two things: 1) It’ll taste freaking amazing and 2) Your awesome slow cooker will do all the work for you. Also, while your pork is slow cooking and the kitchen smells amazing, you can prepare your Korean veggies. I know the recipe card below looks long and intimidating but – I promise you- the Korean side dishes (banchan) are super easy to make and once you boil the veggies and add a few key ingredients, you are finished. These Korean side dish staples are good to have in your Korean food repertoire! If you don't want to make the Korean BBQ sauce below, simply combine gochujang with some sesame oil and honey for an equally great sauce! Whisk all the sauce ingredients together in a separate bowl. Add the pork (cut up into large chunks) into the slow cooker, add the sauce and toss to coat. Cover and slow cook the pork on low for about 6-8 hours. Start checking the pork at about the 4 or 5th hour if possible. During the last hour of cooking, prepare all of the Korean veggies and the sauce. Put your spinach in a pot of boiling water and stir it for about a minute or 2. It will wilt very quickly. Then, rinse it in cold water a few times, cut it and squeeze it to get all the water out. Mix it with a pinch of salt, 1 teaspoon of soy sauce, 1 clove of minced garlic and drizzle about a teaspoon of sesame oil. Taste and add more sesame oil and soy sauce if needed. Bring a pot with about a cup of water to a boil. Add 1 teaspoon of salt and the bean sprouts and cook for about 10-15 minutes. Drain the water and mix with 1 clove of minced garlic, some sesame oil and a pinch of salt. Taste and add more of any of the ingredients if needed. Using a mandolin, shred up all the radish and place into a bowl. Mix in 1/2 tablespoon of salt. Let sit for about 3 minutes. Rinse the shredded radish in cold water. Drain the water and place into a mixing bowl. Add in the rest of the ingredients for the seasoning and combine well until everything has blended well together. Whisk all of the ingredients together until the sugar has dissolved and the mixture is smooth. When the pork is ready, remove it from the slow cooker with a slotted spoon and place it on a cutting board. Shred the pork by pulling the pieces apart with two forks. Lightly warm your corn tortillas in a pan on the stove over medium high heat. Please tortilla on your plate, top with some of the shredded pork, then the spinach, then the bean sprouts and last with the shredded radish. 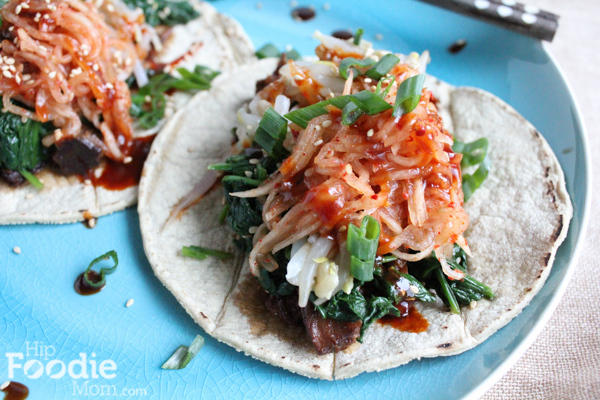 Drizzle the BBQ sauce over the entire taco and garnish with diced green onions and sprinkle some sesame seeds on top. Pulled pork recipe adapted from Spoonful. 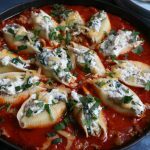 Disclosure – KitchenAid provided my family with the slow cooker featured, all opinions expressed here are my own. 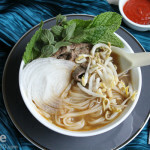 Faux Pho Bo for the Keys To The Kitchen Virtual Dinner Party! Omg Alice! Your food looks crazy delicious! My husband and I could totally down a few of these! I love Korean foods (by which I mean Korean town in NYC). Hope to learn more about it from you. Oh yeah, I want that slow cooker Alice!! Nice! Mine isn’t that nice. I do love a slow cooker too…but don’t use it often enough. That dish looks beautiful. 🙂 Love the presentation! 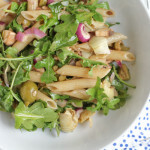 Oh dear – this looks so fantastico! I’ve tried Kogi when I was in LA, so I know this must taste delicioso. Oh. My. Goodness. I love EVERYTHING about this recipe. 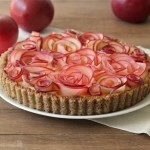 It WILL happen soon in my kitchen! Thanks for your comment over at Home is Where the Cookies Are ;). Love your blog, and I will dream about this pork tonight, I’m sure!! I made these last night and they were amazing! 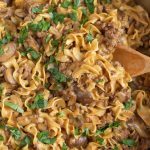 I have been soo bored with the usual food I always cook and wanted to try something completely different and I am sooo glad I tried this recipe! served it with cilantro lime rice and it went together perfectly. 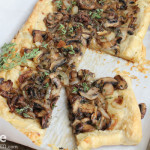 I already added it to my recipe book and will make many more times!! Thank you so much for sharing something so delicous! I am so happy to hear this!! thank you for letting me know. . you just made my day! and the cilantro lime rice sounds amazing! How did I miss this one???????????? 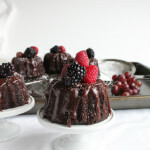 Great post, a to try recipe. Barbeq Manufacture Pizza Oven/BBQ Grill/Fire Pit in 2001 Years, Our Factory Can Provide Cheap Price and Good Quality Product Around the World, Currently, Main Market is Germany/Poland/UK/US, Quality Inspection Standard is in Accordance with France/Germany. Our products look so cool and have hundreds of styles and sizes for you to choose. In this way, you can meet different requirements in different places. I believe there will be styles that you love! Barbeq Manufacture Pizza Oven/BBQ Grill/Fire Pit in 2001 Years, Our Factory Can Provide Cheap Price and Good Quality Product Around the World, Currently, Main Market is Germany/Poland/UK/US, Quality Inspection Standard is in Accordance with Fr ance/Germany. Our products look so cool and have hundreds of styles and sizes for you to choose. In this way, you can meet different requirements in different places. I believe there will be styles that you love!